Thanks for your interest in our guided hunts. Alaska Adventure Outfitters, AAO, is the new name for the outfit of Max Schwab, Master guide. Our team consists of two master guides, two registered guides and two assistant guides. We've all been working together for over 15 years and have well over 100 years of combined experience. 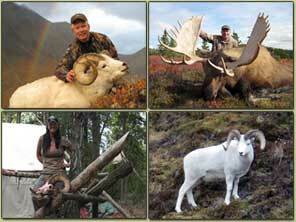 Browse through our photo galleries to get a better idea of what our hunts are like. We try to include photos that depict the landscape and convey the essence of the hunt. We hunt in both the spring and fall for bear. Hunters can add bear for a combination hunt. Wolf is included in the price of all hunts. Our Grizzly bear hunts occur from September 1st - 25th. Spring brown bear hunts are from May 1st - 20th. Black bear hunts are available both spring and fall. 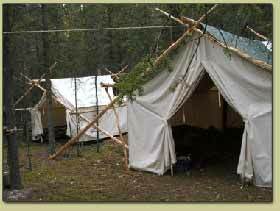 Base camps are comfortable and typically equipped with wall tents, wood stoves, gas cook stoves and lights, cots, food, cooking equipment, etc. Remote cabins are used on some hunts. Hunting will be challenging and strenuous. Once we reach camp, we hunt mostly on foot and may bivy or use minimal spike-camps while pursuing big game. We try to help our clients gain a greater appreciation of all aspects of the hunt, the game animals and the beauty of their surroundings. Getting to camp usually involves a bush plane flight. You’ll be in Alaska’s big unspoiled wilderness, with few signs of people, fantastic scenery and game. 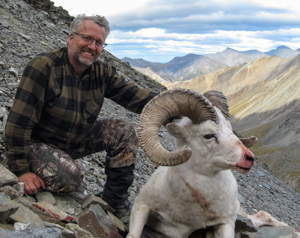 The Guides at Alaska Adventure Outfitters, (AAO) have been working together where we hunt in the Alaska Range for the past 15 years. We all began working together under master guide Max Schwab. Max started hunting our area in 1978 and save for satellite phones and freeze dried food, our outfit has remained mostly unchanged. 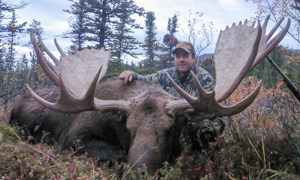 As Max transitioned into retirement, 'Max Schwab, Master Guide' became Alaska Adventure Outfitters, LLC. Our focus has always been on the essence of the hunt and quality of the experience. We hunt hard and spend a lot of time spiking out with the sheep and moose. Hunters should come ready for challenge and adventure. I owe my success to the guides I work with. They are the best to be found anywhere. Their love of Alaska's wildlife, and the country in which it lives, is reflected by their choice of where and how they live. It keeps them in intimate contact with Alaska's natural environment year round. As soon as you start to get to know them, their enthusiasm, joy of the hunt, superior woodsmanship and expert knowledge of all things related to your quarry will soon become apparent. We take great pride in our work. 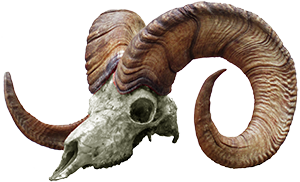 We strive to provide the highest quality in all facets of the hunt. One facet is to show respect for our quarry. I believe a focus on size and success statistics impedes the respect we give and distracts us from appreciating the true essence of the hunt. Most, but not all, go home with fine trophies of the kind we all hope to encounter. This is real hunting, there are no guarantees. To check available bookings, request a client reference list, or to discuss a hunt, please contact AAO.